RANGOON — It was around 5am, just after her time to wake up, when Daw Aung San Suu Kyi was alerted by her aides that they had an urgent situation in the house. 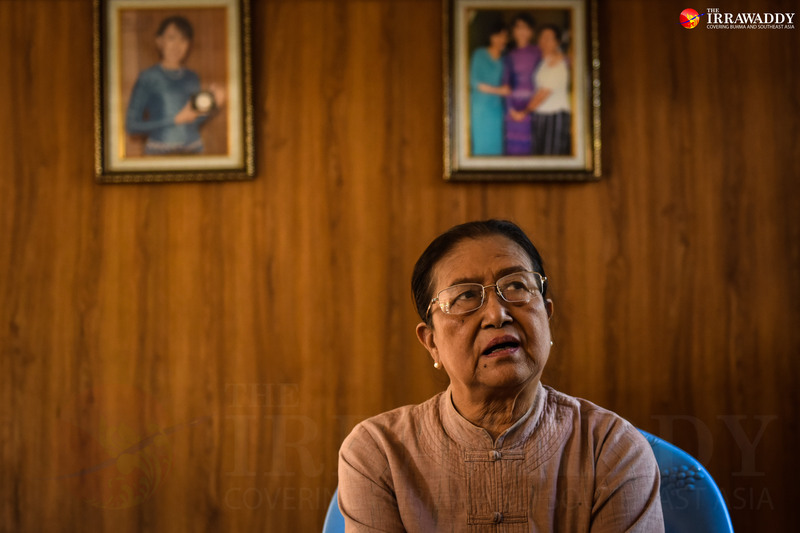 Daw Khin Khin Win, one the aides, told Suu Kyi that they had spotted a stranger—a foreigner—inside the compound. Suu Kyi and her aides knew they were strictly prohibited from receiving any visitors without official permission. The date was May 4, 2009—six years since the Nobel Peace Prize laureate had been placed under her third house arrest inside her lakeside home with her two caretakers. Daw Aung San Suu Kyi walked downstairs to see the foreigner in wet clothes lying on his back and moaning with pain outside the house. She urged the stranger to leave. But the intruder, John William Yettaw, who had swum across Inya Lake to reach Suu Kyi’s house, insisted that he be allowed to rest for a while because he was suffering from diabetes and felt too weak to swim back. Daw Khin Khin Win tried to protest, but Suu Kyi explained that she couldn’t ignore the man who was in obvious pain, and she didn’t want to surrender him to the police. That is how Daw Khin Khin Win described the sudden arrival of the American visitor John Yettaw, who claimed that he was sent by God to protect Suu Kyi from a terrorist group trying to assassinate her. Sadly, the self-proclaimed protector was arrested by police the following day when he departed her house. Yettaw’s arrest made local and international headlines. 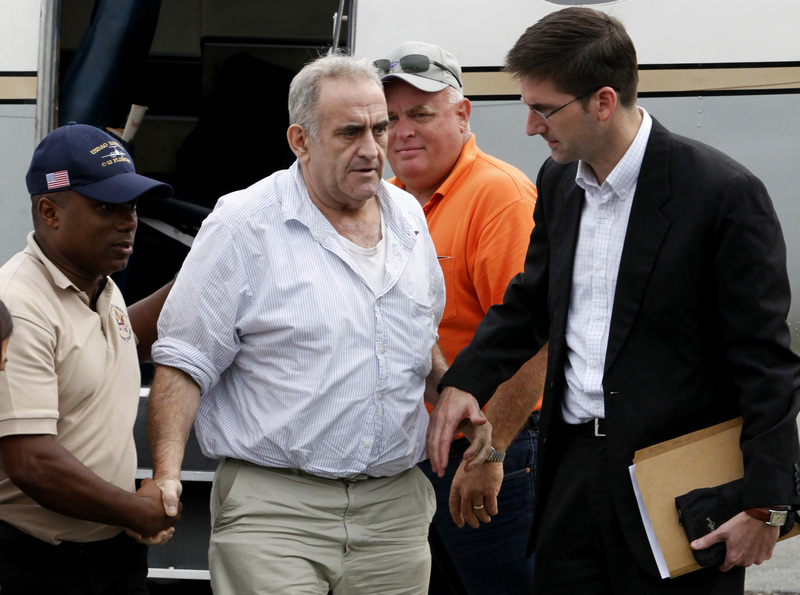 He was sentenced to seven years in prison, but he was deported from Burma a few months later when US Senator Jim Webb intervened in the case. Suu Kyi and her two caretakers were sentenced to 18 additional months of house arrest. Because Suu Kyi is famous for her tendency to not disclose the details of her private life, her aide’s description of John Yettaw’s visit could be the most detailed insider account available. Eight years after the fateful events, the public can finally read Daw Khin Khin Win’s side of the story in her recently-published memoir, Yezan Lan Hma Eain Apyan (Returning Home after an Upstream Journey).’ The 300-plus-page memoir in Burmese covers her political life as an NLD member, the party’s struggle for survival following the 1990 election, and her time spent with Daw Aung San Suu Kyi under house arrest. “People should know what kind of person Daw Aung San Suu Kyi is and how she is committed to her cause. That’s why I wrote this book,” the 74-year old caretaker told the Irrawaddy. Two years senior to Suu Kyi and a former school teacher, Daw Khin Khin Win had been her caretaker since 1996. 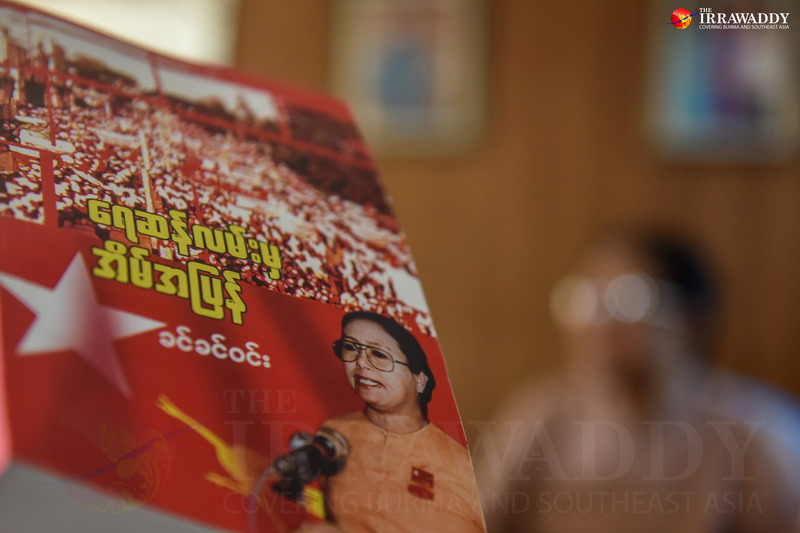 The Nobel laureate noticed Daw Khin Khin Win while she worked dutifully as an NLD party organizer in Bago and Magwe Divisions. She also worked as a Women’s Network member and stood out at household chores. As an aide who spent most of her time with Suu Kyi, Daw Khin Khin Win witnessed many important moments in the Nobel laureate’s life. When the message about the death of Suu Kyi’s husband Michael Aris came to the house in March 1999, she was with Suu Kyi, holding her hands in silence to console her as there was nothing she could do. “Lying on her bed, she no longer seemed to have energy to shed a tear. She looked sad but managed not to pour out her grief,” she writes in the book. When Suu Kyi was placed under house arrest for the second time from 2004 to 2010, Daw Khin Khin Win and her daughter stayed in the home—at Suu Kyi’s request—because the Burmese democracy icon was not in good health. For those who wonder how the trio spent their time cooped up indoors, the housekeeper has an answer. Every day at 5am, the two-storey mansion at 54 University Avenue came to life with the sound of static as Suu Kyi tuned her radio to the BBC World Service and other English news channels. At 7am, Suu Kyi paid homage to the Lord Buddha, and they ate their breakfast. For the rest of the day, Suu Kyi worked on writing, reading, and meditation. Sometimes she played western classics on her piano while Daw Khin Khin Win and her daughter Win Ma Ma did household chores, including tending the garden. When Suu Kyi became sick, Daw Khin Khin Win recited Sutta (sermons of the Buddha which are believed to ward off harm and evil) to promote a speedy recovery. “She is disciplined and lives on a time table. Despite the absence of visitors and social activities, we had no time to feel bored,” she told The Irrawaddy. Sometimes the two older women chatted about their past experiences. The caretaker got a chance to ask Suu Kyi how she managed to keep calm under life-threatening situations, such as the time in the late 1990s when soldiers aimed their guns at her when she defied their orders to stop making trips to the Irrawaddy delta. “Of course I was afraid of being killed. But I had to do what I had to do despite the fear,” Suu Kyi replied. But these daily routines were altered with the strange American’s sudden appearance in 2009. The two women accommodated and fed him. In the evening when John Yettaw complained that he was still not fit to go out, Daw Khin Khin Win had a sleepless night. With a steel stick in her hand, she sat on guard on the staircase that led to Suu Kyi and her daughter’s rooms in case the stranger thought about doing something bad to them. When Yettaw was arrested, the trio was moved to Insein Prison for four months while they awaited trial. “Yettaw was restless and behaved strangely. He didn’t appear alright mentally,” she told the Irrawaddy. During Yettaw’s confession in court, they learned that the American was the same person who had sneaked into Suu Kyi’s compound in 2008 to leave a copy of The Book of Mormon for Suu Kyi. After Suu Kyi was freed from house arrest in November 2010, Daw Khin Khin Win decided it was her time to retire. Despite the Nobel laureate’s resistance, she left the job of housekeeper at 54 University Avenue in 2011, partly because of her deteriorating health and partly because of her desire to spend more time with her family. “I heartily took those words as my reward and a milestone in my life,” Daw Khin Khin Win told the Irrawaddy. Now the 74-year old former school teacher stays busy running a free nursery school that she founded last year. Most of her 30 students come from poor families, and the reason why she runs the school is simple. This article was edited to correct an inaccuracy in reporting Daw Aung San Suu Kyi’s third house arrest. The Irrawaddy originally reported that 2009 was five years since she was placed under her second house arrest. 2009 was in fact six years since her third house arrest began.